A Brazilian duo with a really wonderful sound – one that manages to merge acoustic instrumentation, vocal harmonies, and some light electric touches – all with a sound that's both jazzy and folksy at the same time! 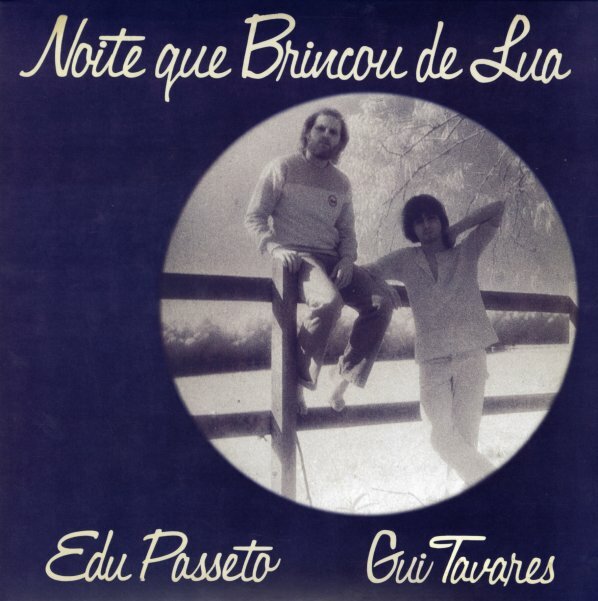 Edu Passeto and Gui Tavares have this unique vibe that maybe reminds us a bit of some of the Quarto Records material at the end of the 60s – and a warmth that might put them somewhere in the territory of Joyce – but, as with so many one of a kind Brazilian records from the golden years, there's something going on here that's very much its own – and which makes this obscure indie treasure the kind of record you'll keep going back to over the years, finding something new every time. Titles include "Vento Me Traz", "Canto Livre", "Heroi De Jornal", "Noite Que Brincou De Lua", "Seguir", and "Menino De Pindorama". © 1996-2019, Dusty Groove, Inc.